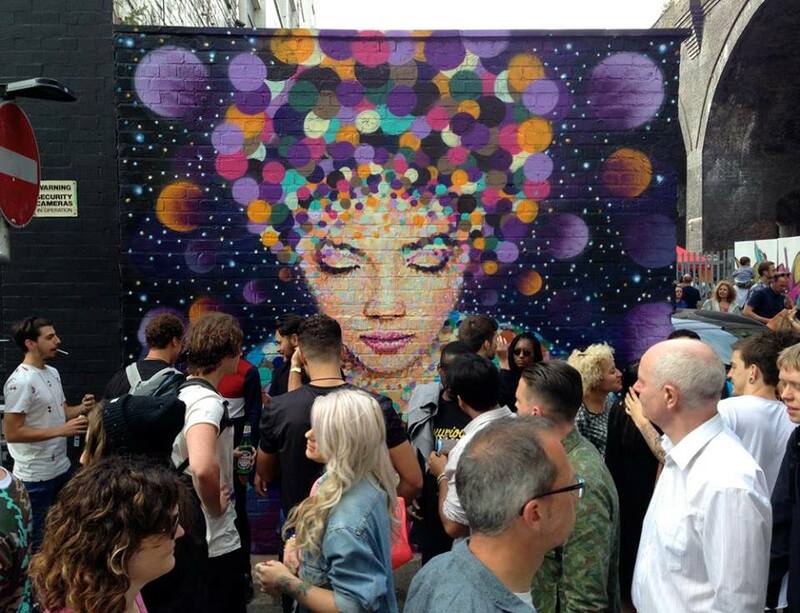 On the 18th& 19thof June, Birmingham will once again host the City of Colours street art festival – taking over walls, venues and municipal spaces across Digbeth. This year’s free two day event will feature over 120 artists, a tapestry of music, workshops and street art – all programmed with the aim of promoting ‘unity, diversity and freedom of expression and to make a difference to our community through collaboration and co-operation’. City of Colours is the brain child of Karl Paragreen and Becci Wright, who have been hosting the event since its conception in 2014; it is because of the success of the first single day festival two years ago that the event now spreads over a whole weekend. God bless public demand. The team organising City of Colours is ‘is an urban arts company with a community interest mission to provide an accessible platform for artists of all levels and backgrounds’ with an aim to ‘educate, influence and inspire marginalised groups’. Working alongside Karl and Becci is an ensemble as diverse as the art they promote; you can see their hand prints across the cultural calendar of the city in projects such as the Digbeth Dining Club, Big Centre TV, and Hip-Hop Heals. Music is also a significant part of the City of Colours festival, with sounds across the weekend from Scratch Club, Jam Hott, Ragtime Records and a selection of other home grown talent, including Call Me Unique – running alongside all the visual artists. And although City of Colours has no over big ‘P’ political motive, it arguably echoes Naomi Klein’s No Logo and its battle cry to reclaim the streets. The glossy hue of spray paint, the ridges of heartfelt brush and the colour of over 100 images put up across the city’s walls reflecting Birmingham’s cross section of communities. And it’s free; Ms Klein would be proud.